Having straight teeth is something almost everyone wants. A smile without a single crooked tooth looks great, feels great, and can give most anyone a confidence boost. But an attractive smile isn’t the only reason to straighten your teeth. There are a number of health benefits to having straight teeth – and many reasons to get it done early in life. Check out Glacier Centre for Dentistry’s list of reasons below. If your bite is uneven, this can cause issues chewing. The condition of a “bad bite” is called malocclusion. A crooked bite can also cause tooth enamel to wear down unnaturally. When the enamel is wearing down at a more rapid rate, it can be difficult to correct this wear through cleaning alone. When enamel is worn down, it can lead to sensitivity and tooth decay. 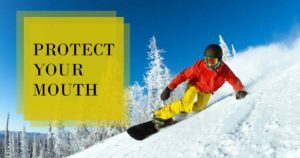 Protect the tooth enamel you currently have and schedule an appointment immediately with your dentist in Kalispell to address how you can prevent any further deterioration.